My Rewild Retreat offers women of all ages the chance to reconnect with their 'wild self' in an intimate and supportive environment through learning and mastering skills such as firelighting and whittling, as well as providing the opportunity for relaxation with my Wild Cocktail workshop and wood-fired hot tub. This is absolutely my favourite event of the year and I absolutely love it! It’s like nothing else I run and or have attended. It’s my idea of heaven! This is my event that’s exclusively for women (I have a version for blokes that I want to run and will do once I find the time - promise!). I really believe that everyone should be able to enjoy being ourside and I’m on a personal mission to demystify and de-macho the outdoors. I want to empower women like you to learn the skills and gain the knowledge to do so, no matter what age you are or what experience you have. So what could be better than a wild weekend away in the beautiful countryside of the Wye Valley? With campfires, bell tents, a wood-fired hot tub, a seemingly endless supply of tasty food and a wild cocktail workshop, my Rewild Retreat has everything you need for a memorable weekend. Rewild offers women of all ages the chance to reconnect with their 'wild self' in an intimate (there are just 8 places each year) and supportive environment through learning and mastering skills such as firelighting and whittling, as well as providing the opportunity for relaxation with my Wild Cocktail workshop and wood-fired hot tub (last time I combined the two!). My Rewild Retreat allows you to learn and practice new skills in a friendly all-female environment. Through my many years’ of training and experience, I know that you learn best when you are warm, relaxed and well-fed. 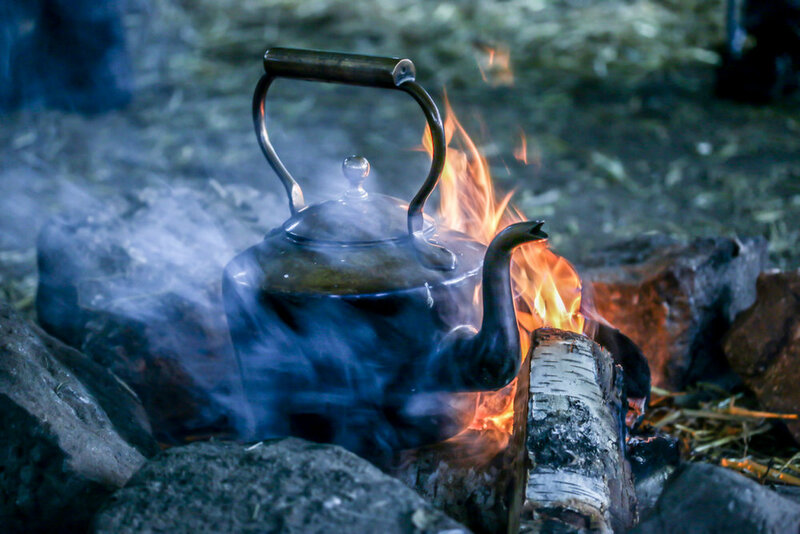 The course is designed to teach you the basics of firelighting, knife work and outdoor cooking, as well as teaching you about the natural world. Set in the beautiful surroundings of Tintern in the Wye Valley, this two day course will ease you into the great outdoors. Accommodation is dormitory style in my Sleepy Tipi with comfortable bedding and plenty of blankets. There are bathroom facilities on site (including an outdoor hot shower) and there will also be a wild cocktail workshop and a wood-fired hot tubs for you to soak in on Saturday evening. £280 includes all meals, accommodation, equipment and instruction. To see what others think about Rewild Retreat, have a read of one attendee's review in Pebble Magazine.